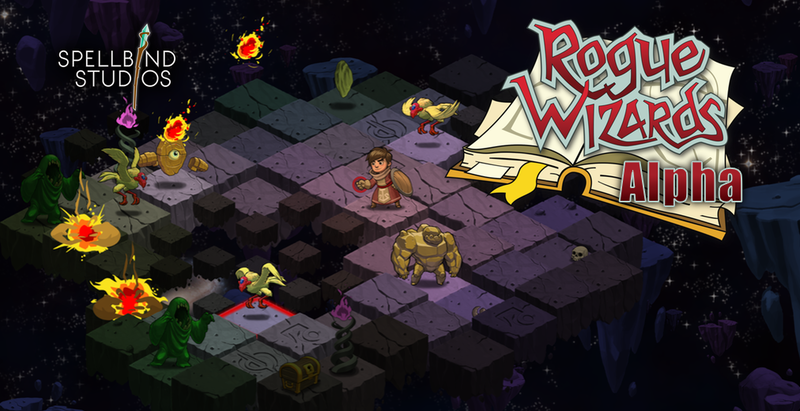 We’re happy to announce that Rogue Wizards closed alpha program has begun. If you backed us on Kickstarter at the Shaman level or higher, you’ll be receiving a Steam key to join and play the alpha over the next couple of weeks to try out the game and provide us feedback and report issues. We’ll be adding users into the alpha in groups every week; so if you don’t receive your key right away don’t worry, it will arrive soon. Missed the Kickstarter but still want to play the open beta when its ready? Subscribe to our Spellbind Studios Newsletter and we’ll be recruiting players from that list to join the open beta in 2016. Now on to our regular development update for November 2015. Over the past month we’ve been working very hard to get ready for the alpha. 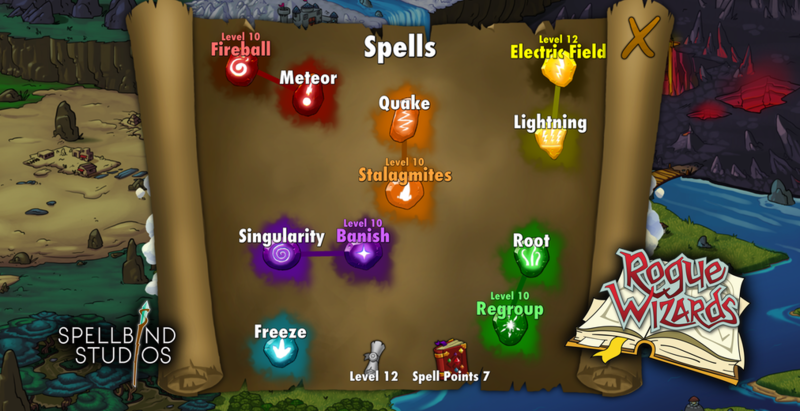 The biggest change in the gameplay comes in how the player acquires spells. Spells now rarely drop in the dungeons and instead the player acquires spell points when they level up. Spell points can be spent at the Wizard Tower in town to upgrade existing or learn new spells. We’ve also got functional UI screens for video settings as well as user configurable keyboard control mappings. Finally, we added new UI for comparing weapons and armor with the equipped armor or any of the readied weapons on the shortcut bar. 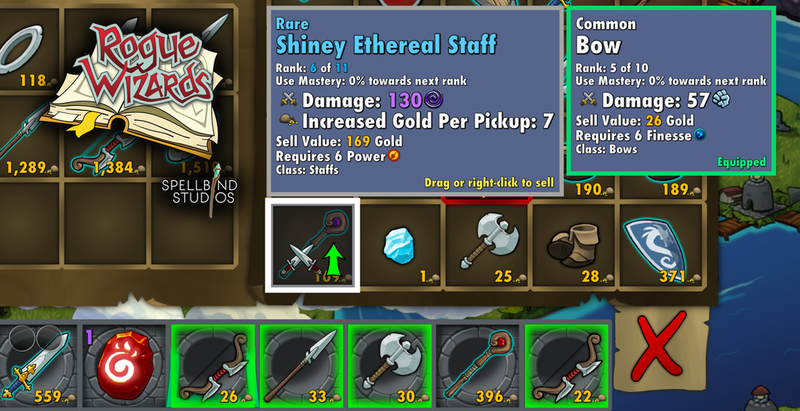 Now a simple red or green arrow will appear on the item being inspected if it is more effective at attack or defense, and for weapons on the shortcut bar if the new item would do more damage than each of them they’re hi lighted with a glowing green box. – Drastically reduced the turns required for mastery of all equipped items. – All main storyline quests now have their rank “frozen” once attempted, this mean that the first the time player attempts the quest … if the quest is rank 5 and the player dies, and attempts the quest again, the quest will be regenerated at rank 5, even if the player has reached level 6 or more. This allows for the player to never get stuck at a difficulty wall in the story quests as they will eventually be able to level up and get through it and continue on with the game. – Fixed EZScreen placement not doing centering placement correctly after a resolution change due to a cached value of the old viewport pixel rectangle, the cached data member has been removed. – Hack fixed the clipping on the slider of the key mapping menu upon opening the first time. – Proper platform settings for zip library for building on Android, Blackberry, and iOS so they don’t interfere with the desktop build settings, we were getting plugin name collisions because the desktop build was trying to include both its own and the android versions etc. – Wrote a whole working resolution selection system via the Home menu using dynamic menu items, but am disabling it because resolution changing under the running game just causes to many positioning and sizing problems … sigh!!!!! – Fix crash when equipping quake wand cause we don’t have an earth wand attachment in spine yet. – Fixed a few home menu buttons not showing up in real builds due to some settings requiring cheats and requiring mouse etc. – Clicking on a node in the spell tree UI now brings up a spell upgrade UI for that node using the small vertical scroll framework where you can upgrade the spell from. 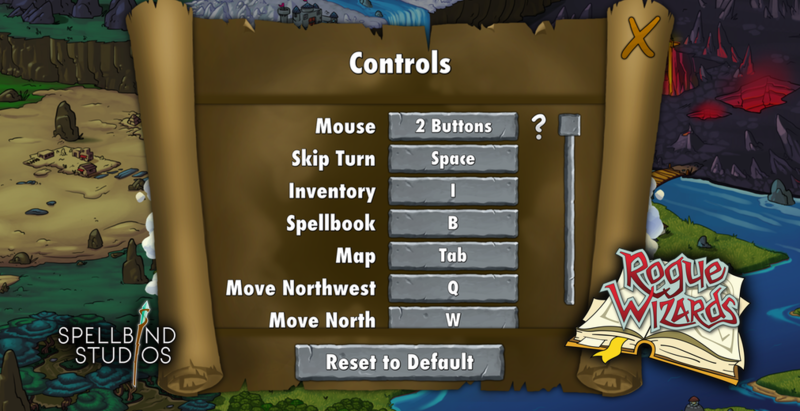 This is necessary on devices that don’t have a mouse because they won’t get the hover tooltips in the spell tree. – The spell tree now has requirements based on both player rank and other spell ranks within the tree. So you can’t get Electric Field until you’re player level 3, and you can’t get Lightning until you have leveled up Electric Field to level 15 etc. December 1, 2015 in Rogue Wizards.